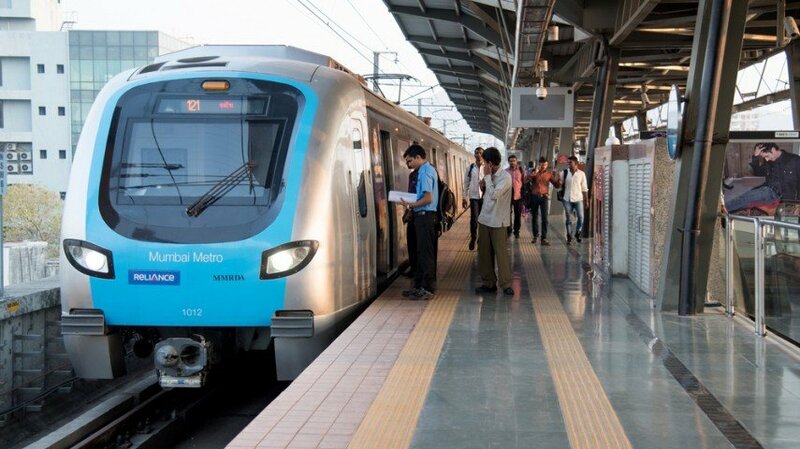 Mumbai: The Reliance Infrastructure promoted Mumbai Metro One (MMOPL) has taken yet another commuter friendly decision by announcing 44 additional trips in the off peak hours. This takes the total tally of Metro services from current 396 to 440 operated on weekdays. Keeping in mind the ongoing and upcoming festivities, footfalls are likely to go up as more and more commuters along with their families would prefer Metro as a dependable mode of transport. RInfra backed Mumbai Metro One has brought respite to millions of Mumbaikars since inception, by providing seamless and comfortable travel and offering services that are responsive to an average commuter. In the Versova-Andheri-Ghatkopar corridor, Mumbai Metro has not only become the preferred mode of public transport but also demonstrated its reliability of operations during all seasons of the year. The last year (2017-18) marked high performance levels with 99.9% punctuality and 100% train availability as Mumbai Metro operated around 1,30,000 train trips. In last one year, Mumbai Metro One has taken various measures to make commuters’ journey comfortable. In various phases, it has increased train services from 370 to 382 to 396 on weekdays. It has done improvements and additions to station layout, ticketing counters, AFC gates, baggage scanning machines and security facilities to ensure commuter convenience. Now, Mumbai Metro has increased train services from 396 to 440 during off peak hours between 11:30 a.m. and 4:30 p.m. It means Metro service will be now available every 5 minutes instead of 8 minutes during this slot. The best part is that commuter wait time has been drastically cut down by 3 minutes. Mumbai Metro initiated trial runs of increased frequency services from Wednesday, 19th September. However, full-fledged services will begin w.e.f. Monday, 24th September. The 44 additional trips can handle nearly 66,000 commuters. “Considering the prevailing festive spirit, this is a commuter-friendly stance of MMOPL to encourage more and more people to use Mumbai Metro and thus improve their travel experience and enable saving their money and time. We are extremely delighted to increase our train services from 396 to 440 trips. We are confident that our commuters will be better able to plan their journeys now and they will greatly benefit from the additional services. We will continue to ensure comfort and safety to our commuters”, said an MMOPL spokesperson.